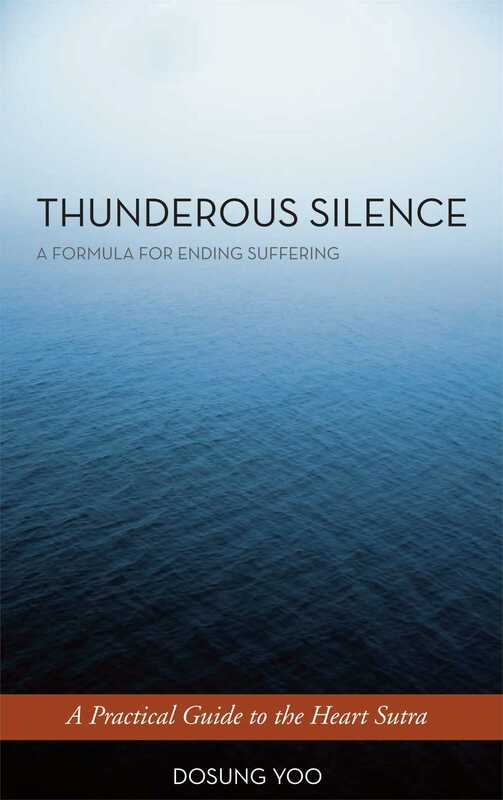 Thunderous Silence throws light on the Heart Sutra--a pithy encapsulation of the essence of Perfection of Wisdom literature--using stop-by-step analysis and an easy, conversational voice. Dosung Yoo examines the sutra phrase by phrase, using rich explanations and metaphors drawn from Korean folklore, quantum physics, Charles Dickens, and everything in between to clarify subtle concepts for the reader. This book invites us to examine the fundamentals of Buddhism--the Four Noble Truths, emptiness, enlightenment--through the prism of the Heart Sutra. Both those new to Buddhism and longtime practitioners looking to revisit a core text from a fresh perspective will find this work appealing. Rev. Dosung Moojin Yoo was ordained in the Won-Buddhist Order in Korea in 1993. He teaches at the Won Dharma Center in Claverack, New York, where he lives, and at the Won Institute of Graduate Studies. He has translated several Won-Buddhist Texts and is interested in bridging the gap between the teachings of Christianity and Buddhism. "Discusses basic Buddhist teachings thoroughly, with a delightful ease and lightness expressive of the emptiness teachings themselves, and features a wealth of charmingly told Korean folk stories and old Buddhist tales that illustrate, with humor and magical realism, the potentially abstract and philosophical teaching of the sutra." "Simple and powerful--Rev. Yoo's commentary opens the gateway to a deeper understanding of Buddhadharma and enriching both our practice and daily lives. I cannot recommend it highly enough." "Wonderful and welcome. Dosung Yoo brings a keenly-felt contemplative understanding of the core text and strong, clear voice. He is as well-grounded in classical Mahayana teachings as in the folk narratives of Korean Buddhism. A valuable contribution."